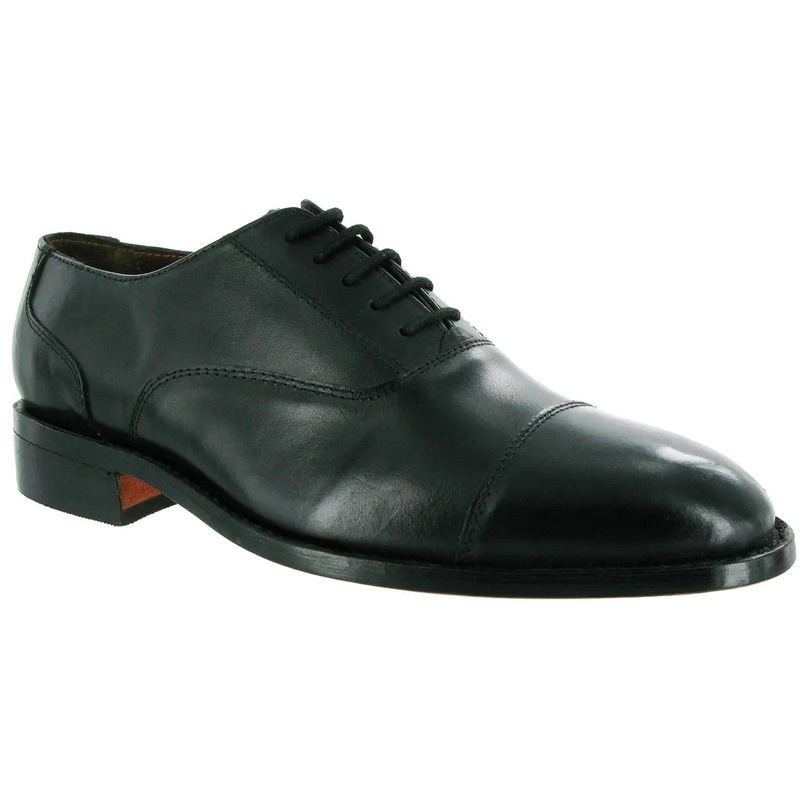 Traditional Oxford Mens Shoe with classic leather sole. Beautifully crafted shoe with smooth leather upper and lining. Handcrafted with a genuine welt offering quality and durability. Leather sole with a one and a quarter inch heel. Lace up front with five subtly perforated eyelets. Neat leather overlays bordered with twin stitching accents. Mens dress shoe ideal for formal wear.